DJ Khaled celebrated his artist Kent Jones going platinum with his single 'Don't Mind'. 6. 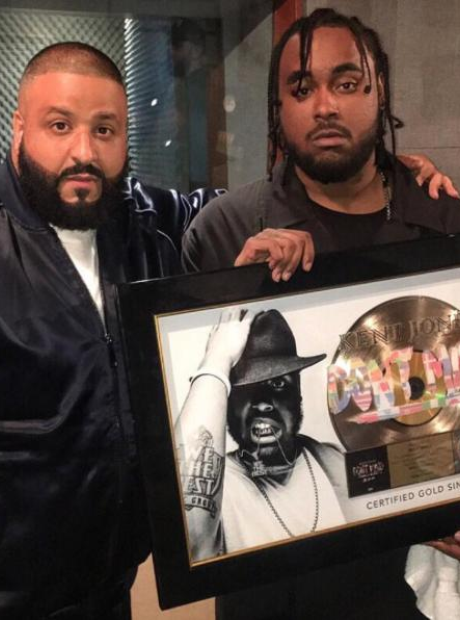 DJ Khaled celebrated his artist Kent Jones going platinum with his single 'Don't Mind'.